Colin McKenzie-McHarg is the principal of Oakleys Law. He is based at Leongatha and also visits the Korumburra office. 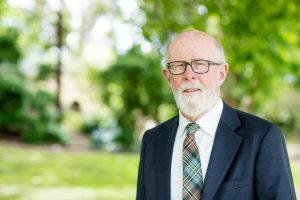 Earlier generations of Colin’s family were lawyers in rural communities in Northern Victoria at Wodonga, Beechworth and Yackandandah. Colin was admitted to practice as a Barrister and Solicitor of the Supreme Court of Victoria on 1 April 1976. Not long after his admission, Colin came to Leongatha, where he has lived and worked for the firm and its predecessors since that date. He became a partner of the firm Oakleys Thompson & Co in 1978 and is now the principal of Oakleys Law. Colin has extensive experience in estate administration, Wills, trusts, commercial law, farm land and goods transactions and general conveyancing. Colin has raised a family in Leongatha and been a member of many community organisations over the years and is still an active member of the Leongatha Rotary Club.